Ever since I was introduced to the M&S Ultimate Crumpet I have been hooked on those fluffy sourdough beauties. Not content on just having a plain crumpet they have now gone one step further and given us new M&S Ultimate Five Grain Crumpets. I picked these up for a bargain price of 95p for 6 sizeable crumpets. 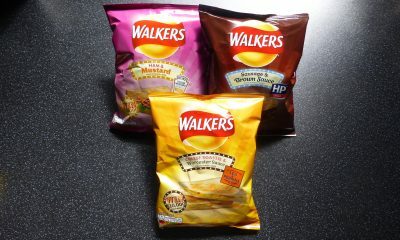 These were slightly darker in comparison to their predecessor which I assume is due to the addition of wholemeal flour. Made with wholemeal flour and high in fibre. To cook these pop them in the toaster, toast on a medium heat for 1-2 minutes and hey presto crumpet perfection. The base certainly gets crispier than the top so do keep your eyes on the crumpets and be very careful when getting these out. Six sourdough crumpets containing five grains and seeds soaked in sourdough. The crispy outer layer made way for the fluffy innards that had a little chewiness to them. The little grains embedded into the crumpets gave an added texture to the soft crumpet as well as a sort of nuttiness to it. The flavour certainly comes through more when you hit a patch of grains however where you don’t come across these, the flavour is lacking. The addition of wholemeal flour certainly detracts from the tang you expect from sourdough, and without that is hard to identify these as having sourdough in them. As a whole I still enjoyed these M&S Ultimate Five Grain Crumpets. I like the addition of the grains more than I thought I would, it is just the lack of unique sourdough taste and flavour that I am missing. 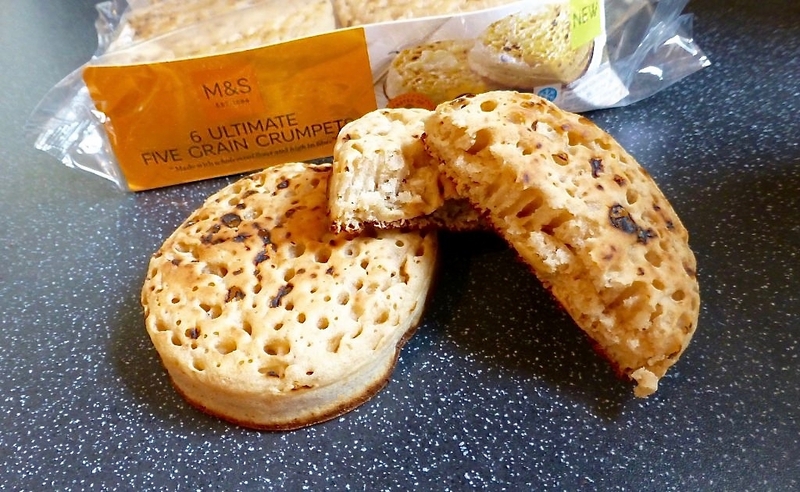 Of the two I would choose the original M&S Ultimate Crumpets however that isn’t to say I would not buy these again if they were the only ones available. My wife bought these last night. Very disappointed with their texture and taste. While I am no connoisseur I found the taste very flat and uninspiring with little of the taste sourdough that I was hoping to find. Tried them with butter (also without) with little improvement. I could definitely not recommend these to anyone nor would we be buying again.